IaaS is one main cloud service delivery model ideal for companies seeking cost effective infrastructure services. IaaS offers scalable and elastic infrastructure resources to efficiently handle changing workloads due to unexpected surge in computing needs. Companies can instantly provision resources and infrastructure components to meet business requirements. Some of the other characteristics of IaaS include automation of administrative tasks, desktop virtualization, dynamic scaling and policy based services among many others – which are much required by many organizations. Infrastructure as service (IaaS) is one of the major service delivery models of cloud computing where users can access virtual computing resources over the internet. In IaaS the cloud service provider offers hardware, servers, storage, networks and also software along with the infrastructure as required by consumers. IaaS service providers handle multiple tasks that include resource provisioning, maintenance, backup, disaster recovery, and also resiliency planning. Like other cloud models, IaaS resources are scalable and the infrastructure can be adjusted according to the business requirement. Like all cloud service models, IaaS services are charged on per-use basis over a period (week, or month). The pay-as-you-go model eliminates capital investments incurred in deploying hardware and developing an infrastructure to run applications. For instance, if an organization plans to deploy newly developed software, it is more cost effective when the testing and implementation is done on IaaS. In spite of these benefits, many companies planning to hire IaaS services should monitor their environments closely from being charged for services that are no longer used. Shifts the focus of IT: IaaS eases much of the hassles in maintaining and managing the internal infrastructure. The resources of IaaS are managed by the provider or data center. This frees time for internal IT staff for focusing on solutions and innovation that will generate business growth and value. For example, a banking organization can hire IaaS and focus on their core banking areas for growth without much worry for their IT infrastructure. Service without disruptions: In clouds every component is offered as a service. For example, storage is a service, network is a service, etc. IaaS provide the flexibility for companies looking for specific solutions, such as storage space. Clouds ensure services without disruptions because the cloud infrastructure is built with redundant resources. Clouds offer business benefits like availability at all times and scalability due to the concept of elasticity. Dynamic scaling: The infrastructure can scale up or scale down based on application usage to handle unexpected resource demands. This is one major benefit in all cloud service models. IaaS allows the consumer to add or remove resources automatically based on usage. This flexibility results in optimization of resources and cost. Utility services: IaaS is a utility service and follows the model of pay-per-use or pay-per-resource subscription model. The customization and provisioning of resources or utilities can be made in less time. The services can be used as long as they are required and returned back when not in use to result in subscription cost savings for the company. In IaaS the company pays only for the services and components utilized. The utilization of each resource is metered, if the usage is low, bill amount is low. Eliminates capital costs: Organizations may not be willing to invest huge money in hardware and infrastructure. IaaS is an ideal solution, because no capital costs are involved. Organizations pay for hiring the IT infrastructure services form data centers which incurs only operating costs. Also the need for hiring IT personnel is reduced in the company which is another cost saving with IaaS. Ubiquitous availability: The infrastructure is available for access from any location and from any device. 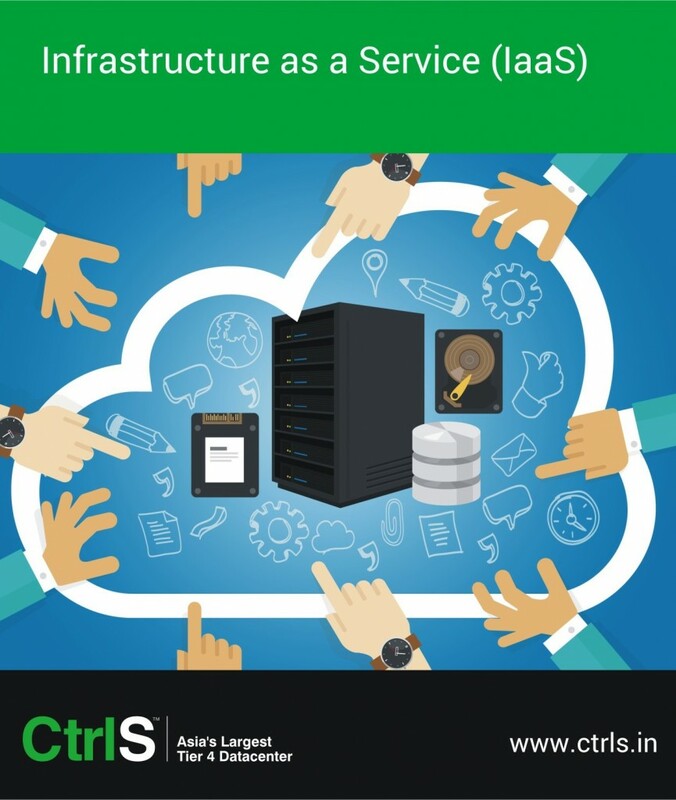 IaaS offers infrastructure services for organizations across all industries to align IT resources with their business objectives at minimal cost. Businesses must identify and consider specific areas of IT that are appropriate for IaaS and understand how resources are available for use along with their risks and performance metrics which are defined in SLAs. IaaS will certainly prove to be beneficial in companies with reduced IT budgets and in dynamic market scenarios. This entry was posted in Iaas and tagged IaaS, iaas providers on March 14, 2016 by admin. IaaS is a cloud service model used to describe IT infrastructure capabilities in a well-defined manner. Infrastructure capabilities does not limit itself to IT hardware and networks but also provides a platform for business agility and applications reliability. An enterprise considering deployment of cloud IaaS model must develop well planned strategies to exploit the technology in order to achieve business goals and maximize business bottom-lines. Infrastructure-as-a-Service (IaaS) is a style of IT enabled capabilities that are delivered as a cloud service model for organizations. IaaS is understood as equivalent to a private data center or scalable IT infrastructure service which can be accessed using internet technologies. Large organizations such as government, enterprise businesses, and especially SMBs stand to gain from IaaS due to its scalability and other immense benefits such as on-demand self-service, self-provisioning, measured access, broad network access, rapid elasticity and centralization of data and applications to mention a few. For instance, enterprises often face the challenge investing in IT sources and infrastructure for handling economies of scale as the business grows and expands into new markets. Cloud computing IaaS models offered by data centers is a viable environment for enterprise organizations through which the challenges related to managing IT infrastructure are easily overcome. According to Earnest & Young report titled Cloud Adoption in India surveying SMBs on cloud services adoption around 55% of SMBs have indicated their readiness for cloud based storage services which is a capability of IaaS. Gartner Research on cloud computing services adoption worldwide explains that, enterprises planning for IaaS deployment must make sure they develop strategies using bimodal approach. Mode 1 explains on reliability (in terms of infrastructure to support business efficiently, innovations) and Mode 2 on agility (adapt and scale up or down automatically to changing business scenarios). Use a bimodal approach: Organizations must first question themselves on what exactly they need from cloud IaaS. The bimodal approach is highly essential for any business because business companies need two things – maximum business agility and greater efficiency. Greater efficiency falls under mode 1 and business agility in mode 2. Though, mode 1 will help to achieve agility by incremental improvements, mode 2 will result in efficiency gains. The priorities of reliability and agility are different in organizations and hence IaaS strategies should be developed by considering both the modes. For instance, Mode 1 eliminates the need for personnel in routine IT operations, improves provisioning time and reduces hardware cost. Likewise, mode 2 enables quick delivery of applications, enhances digital business capabilities, exploit new business opportunities, provision resources rapidly and so on. Hence, organizations planning for adoption should consider this bimodal approach for adopting cloud IaaS. Develop a cloud IaaS strategy: The cloud IaaS strategy must clearly highlight the investments made on technology. This must be tied to line of business (LOB) goals and should have management buy-in. The strategy must explain cloud IaaS benefits and expected outcomes across all functional areas in the organization. Strategies will consider points such as implementation plan (long-term, short-term), identifying workloads that can be moved to cloud, defining security and related systems such as disaster recovery, defining how users can access the infrastructure, that includes mobile strategy, monitoring the performance of IaaS and finally articulate how IT will effectively handle business process requirements and service requests to enhance business relationships. Enhance Application life cycle: Infrastructure serves applications, developers and users alike. In this strategy the approach should incorporate infrastructure into the application lifecycle as opposed to managing only the infrastructure. The tools and methods of DevOps focus on continuous integration and continuous deployment to result in the integration of infrastructure automation along the entire application life cycle. IaaS also offers storage and network capabilities along with load balancing in addition to compute environments. Therefore, with initial provisioning cloud IaaS strategy must focus on ongoing upgrades, applications maintenance and release cycles. A more comprehensive strategy can include platform level services such as database and other middleware services. Specific SLAs related to performance indicators of IaaS, risks, security, etc. Cloud IaaS offers a viable environment to better align IT with key business goals and initiatives at reduced costs. The strategies outlined here are intended to help enterprises while planning to adopt cloud IaaS service to overcome infrastructural management challenges in rapidly changing business scenarios. This entry was posted in Iaas and tagged IaaS, iaas adoption on December 3, 2015 by admin. IaaS adoption is advancing in a massive scale by enterprises as years roll by. Business enterprises are quick to capitalize on emerging new markets and potential opportunities through the use of cloud IaaS services offering IT management and service delivery at scale. Recent surveys and expert opinion on adoption of IaaS mention that IaaS deployments are significant in the areas of BFSI, health care and e-commerce sectors. Cloud computing services stands 4th place in the IT sector after mainframe, PC and internet. Cloud IaaS model is revolutionizing IT by providing new dimensions on how IT resources and technology can be leveraged to exploit potential business opportunities. Industry experts view cloud IaaS model as the most dynamic utility computing service presently available. For instance, the promise of pay-as-you-go pricing model and infinite scalability are some of the key drivers for cloud adoption across different industry verticals. In India the need for inexpensive and effective IT services is driving cloud services across all types of organizations. In a summit titled ‘Gartner IT infrastructure operations & data center’ held in May 2015, Gartner report explains that IaaS spending in India is $104.8 million which is an increase of 38% in revenue compared to previous year and analysts predict IaaS adoption is expected to grow through 2018 to reach $1.9 billion. In India, cloud IaaS adoption alone is expected to grow over 40% in 2015, according to a survey on IaaS adoption in India done by Knowledgefaber, an independent research and consulting firm. In India three main sectors namely BFSI (Banking Financial Services and Insurance), Health care and E-commerce sectors are found to be high adopters of cloud IaaS. These three sectors are explored for cloud IaaS deployment benefits in their area of operations. BFSI: BFSI sector require vast IT infrastructures to efficiently handle huge volumes of data on a day-to-day basis. Cloud IaaS offers certain specific benefits to banks for facilitating and servicing customers with latest technologies while reducing overhead cost in their physical branch. In cloud IaaS customers are allowed to access their personal details and perform online transactions using any type of device from anywhere. Cloud IaaS service enables efficient mobile banking capabilities and customer relationship management with automatic scaling or descaling based on network or server workloads. BFSI organizations leverage cloud IaaS to enable online transactions for customers and serve customers through ATMs, thus optimizing resources in their branch offices. Further financial institutions, mainly banks and insurance companies are also able to widen their customer base into rural areas due to the availability of internet and mobile services. Healthcare: According to Forbes magazine, over 83% healthcare organizations are using cloud based services and porting a variety of healthcare apps on the cloud. The need for healthcare IT is due to the fact that more and more information (patient conditions, research data, drug information, data gathered from various computer controlled devices in therapy) is immediately available in digital form. To handle this huge volume of data across multiple locations requires robust and reliable IT infrastructure. Healthcare organizations continuously face challenges in terms of mining clinical data and historical records, compliance to healthcare regulations, potentially damaging drug recalls and effectively respond to unexpected negative events such as sudden epidemic outbreak, viral infections, etc. A cloud IaaS service from a data center allows pooling of IT resources and is easily made available through the internet to hospitals, clinics, laboratories, research centers. This brings experts together with collaboration tools to provide effective healthcare to patients and facilitates health information exchange for effective treatment. E-Commerce: E-commerce is another area of picking up momentum particularly with SMBs and retail business companies. E-commerce applications primarily have functionalities such as automated workflows, online transactions and customer support which require speed and quality of service for customer satisfaction and retention. Cloud IaaS enables cost cutting with speed and provides specific benefits such as reliability in transactions and efficiency in handling large number of customer requests. The multiple layers of security in the cloud to ensure transactions and private information are protected. The usage based pricing model and on-demand self-service along with scalability are some attractive propositions for e-commerce businesses. IaaS offers the infrastructure to implement and run web based applications thus eliminating the need for costs in building an IT infrastructure. Further data generated in e-commerce software is stored in a centralized servers making it secure from theft or leakage. In summary, e-commerce companies’ benefit from IaaS in overcoming issues related to security, data integrity, scalability and above all allowing customers to access information from different devices. Cloud IaaS services play a facilitating role for business enterprises by providing hardware and IT infrastructure to manage any type of business functions with agility. IaaS services are available from data centers at a fraction of cost compared to capital expenditure likely to be incurred in building an in-house infrastructure network. This entry was posted in Iaas and tagged iaas adoption, iaas in bfsi, iaas in e-commerce, iaas in healthcare on November 20, 2015 by admin. As cloud computing is gaining adoption by organizations due to its immense benefits, not all cloud models will work for every type of business. There are subtle and major differences with each model and the working of each model is unique. Each cloud model has its own advantages and shortcomings. Organizations planning to implement cloud services in their operations must carefully examine the pros and cons of each model and decide the most appropriate model to suit their business and generate value in the long run. Flexibility in terms of cost: The costing in cloud models is a variable. Cloud implementations allow business companies to ‘pay for the resource as and when needed.’ This offers the benefit of reduced capital expenditure in upgrading and running an in-house IT infrastructure. Business scalability: Cloud provides flexibility. Resources in the cloud can scale up or down to support business growth and in times when business is lean. This is another benefit. Adaptability in the market: All cloud models enable faster time to market, and provides scope for business innovations and explore new opportunities. Context-driven variability:Increases the relevance of products and services and enables user defined experiences. Connectivity with the existing ecosystem: Cloud models offer capabilities to fully integrate into existing infrastructure. In cloud models, business firms have the opportunity to leverage cloud business enablers for achieving competitiveness in markets through innovation across customer value propositions and in the industry value chain. Cloud services are available in three major service models namely, Platform-as-a-Service (PaaS), Software-as-a-Service (SaaS) and Infrastructure-as-a-Service (IaaS). Cloud computing models are available in three deployment types namely, Private Cloud, Public Clouds and Hybrid Clouds to suit the requirements in different types of operations. It is highly important to have a closer look into the service offerings while choosing the right infrastructure model. PaaS: This service allows applications and programming models to be deployed easily. Specialized services such as authentication, payment gateways, data access, etc. are implemented in PaaS. It offers the benefit of creating web applications and eliminates the need to buy hardware and software that is required in software application development scenarios. System developers need not worry on how processing is done, how much memory and storage is to be used, etc. these are taken care by the cloud infrastructure. PaaS offers all the services required to fulfill the processes (end-to-end lifecycle of development, testing, deployment and hosting complex web based applications) of application development in order to deliver it as a service. Creating and maintaining an infrastructure for efficiency and scalability is time consuming and costs lot of money. PaaS model help businesses to get rid of this major problem. PaaS is gaining popularity and adoption by IT solutions companies, engineering enterprises, etc. SaaS: This service offers the benefit of deploying applications online thereby attracting consumers (users). In SaaS, applications and software can be used by a web browser over the internet and the software is managed centrally. Since applications are centralized, software upgrades, patches, security, etc. are handled by the service provider or client. API integration is possible between different software components. SaaS is very popular because it provides various benefits for business companies. SaaS offers the maximum benefits in scenarios such as, email applications and business productivity tools, e-commerce portals, helpdesk/support services, data processing capabilities over the web (payroll processing, billing, etc); collaboration software, etc. Applications are available for multiple clients using a variety of devices. SaaS model is widely used by businesses for the purposes of e-mail, helpdesk/support services, logistics tracking, monitoring progress in sales and marketing domains, financial management, customer relationship management, etc. SaaS can be a viable option for SMEs looking to maximize business value with minimal IT budgets. IaaS: Infrastructure as a service enables on-demand provisioning of servers running several choices of operating systems and customized software. IaaS delivers the infrastructure (servers, storage, network and OS). This is a fully outsourced service available for on-demand access and offers to deliver resources, provides dynamic scaling, pricing model based on utility usage, support for multiple users and so on. IaaS is suited for organizations without capital to invest in hardware and most suited for organizations where growth is rapid and there are problems in scaling up. IaaS eliminates the need of maintaining expensive server hardware and network components within the firm which is saves hardware costs. In fact, IaaS is a facility given to businesses that allow users to leverage on compute, network and storage space in servers and data centers. Companies looking for the right cloud service must choose from PaaS, SaaS or IaaS service models depending on their need and the chosen service model must fulfill their business objectives. It is important to ensue the chosen service model must blend seamlessly into their existing business operations. In addition to choosing the service model, there are some factors to consider by business in choosing their deployment model. What is the current state of business and how well it operates today? Where are the efficiencies, gaps, risks, and opportunities for change? What is the plan to manage change and achieve the intended ROI? When a company is considering a cloud for improving business outcomes it should consider how the cloud can fit into its business strategy and associated functions. Cloud implementations are not limited to one type of deployment. There is a wide spectrum of choices available for a company to choose from. Here are some more criteria to consider for selecting a cloud deployment model. Criteria for Public Clouds: The public cloud provides a cost-effective service to business services. Public service model helps businesses to understand the missing components in existing IT portfolio such as outdated applications, issues in extra processing, storage and capacity when needed. The major reasons for adopting a public cloud model for business are cost, speed and specialization. The public cloud offers pay-as-you-go pricing model which gives substantial savings compared to capital expenditure (CapEx) and operational expenditure (OpEx). Criteria for Private Clouds: A private cloud is deployed mostly by very large enterprises and works on the notion of self-service on premise infrastructure managed and maintained by in-house IT. The private cloud can fulfill both the perspectives of business goals and the expanding IT workloads due to increased business activity. A private cloud is designed to deliver better service results, improve agility and efficiency and improve collaboration between the various departments within the organization. A private cloud is designed to solve many of the IT and management problems and offers service availability and centralization of data and applications. Criteria for Hybrid Clouds: Hybrid clouds are a mix of private and public clouds. Hybrid clouds are often viewed by enterprises as an ideal solution to fulfill compliance, avoid vendor lock-ins and to overcome data security and privacy issues. Hybrid clouds are also seen as a strategic option when the private cloud environment cannot always provide the resources required by an application with unpredictable growth patterns. As the application grows the available resources in a private cloud may not be able to support the growing user base. In such cases a hybrid cloud is considered by the organization to own some portion of the infrastructure and the public cloud is used for the remaining resources. In order for a hybrid cloud to be effective, the company must define policies for security loopholes. Despite the advantages and benefits offered by the cloud models one should make a decision on the right model after carefully weighing the pros and cons and examine service level agreements (SLA) carefully before adoption. This entry was posted in Cloud, Iaas, Paas, Saas, Uncategorized on March 9, 2015 by admin. Cloud computing systems are impacting business organizations significantly. The costs in maintaining an IT infrastructure to ensure continuous service availability within the organization is becoming complex and running costs are increasing. IT managers or executives are keenly aware of the issues in managing an IT infrastructure. Cloud computing service models provide an alternative to existing IT infrastructure in overcoming issues of IT management and as a business enabler with significant cost savings. Simply put, cloud computing is a method of providing a standard set of shared computing resources with the objective of providing ubiquitous IT services delivery. Cloud computing can be understood as an approach to a shared infrastructure in which large pool of systems are linked together in public or private networks to provide IT services. Cloud infrastructure normally consists of clusters of servers, networked storage, and related hardware with adequate fault tolerance to provide service availability. Cloud computing services focus on the user, since they decouple computing services from underlying technology resulting in extremely user friendly. The need for adopting cloud services is very much in demand by enterprise organizations, government, educational institutions, SMEs and also small organizations and individuals. Infrastructure as a Service (IaaS) allows users to obtain storage, networks, and basic computing resources as a service. Users can deploy systems software (an OS) on the infrastructure. Platform as a Service (PaaS) provide the facility to build and deploy newly developed applications on the cloud infrastructure. PaaS also has the ability to provide a computing environment and the related development and deployment stack needed to deliver a solution to the consumer. Software as a Service (SaaS) offers to deliver the application in which the processes are matured to run on a cloud infrastructure. The application can be accessed from clients in different locations through a web-browser. A typical example is web-based email. The cloud computing services are available as three models namely the private cloud which is a secure infrastructure owned and used internally by an organization, like in a corporate office; the public cloud model which allows global use of resources, but the infrastructure is owned by one party, for example Gmail from Google; the other model is called the hybrid cloud which is a combination of both private and public cloud model scenarios. Billing and metering of service usage. Users can monitor their resource usage and pay for per resource or pay for each service availed. Larger enterprises have higher IT budgets and they are able to reach the global market quickly by using the internet. SMEs often face the challenge of competing with bigger enterprises and the cloud provides the much needed leverage for them to capture potential opportunities found beyond their geographical boundaries. During the last decade, the technological advances in electronics and digital equipments have progressed rapidly resulting in massive use of hardware components to increase the operational efficiency in IT environments. This trend has invited many issues related to manageability of resources, high costs for running the equipment and power related issues for efficiently using IT infrastructure to achieve business objectives. CIOs and IT managers often come across these issues in their day-to-day working. The need to manage IT as a unified resource gave rise to cloud computing because the infrastructure is scalable, flexible, and can be managed by the users themselves. Moreover, the cloud can provide superior computing performance for business operations and market expansion without failure. This paved the way for adopting cloud computing models that are currently available from major IT and data center vendors. Elasticity: In a normal client-server system the resources are fixed and are designed for certain amount of computing power, network and storage. When the need for more storage or computing power arises additional hardware is required. Similarly when the volume of transactions is low, the higher configurations and resources become redundant. In the case of a cloud, the resources are available to expand as the business data expands and can also scale down. This feature offers the availability of bandwidth, storage, etc the company can utilize the exact amount of resources required and pay for what is used. Economy of Scale: Cloud computing provides the ability to allow many companies to share their best practices and technical expertise. For example, a SME may not be able to incur cost on hiring skilled personnel, but by collaborating in a cloud they may obtain this benefit without any cost. Self-service and Metering: This is ideal for most companies because IT staff in a company can request the amount of resource required to fulfill the company’s needs. Cloud service providers offer an interface by which the user can request the resource, or a seat or license for one or many user(s). The user is billed for the type of resource and the number of resources used in the system. Business Process Services: The cloud infrastructure can has the ability to handle repetitive business processes such as payroll processing, supply chain monitoring, automated production processes, etc. A self-service interface allows the use of this service and customization is also possible. Security and Management Services: Cloud services use the same internet data-links for transferring data and they co-exist with the world-wide web. Hence it critical to protect these systems from viruses and threats related to data protection and privacy. A well-planned security strategy is mandatory for companies planning to adopt any type of cloud service. Optimized IT and cost benefits: IT optimization is possible in a cloud computing because resources are configured for maximum cost-benefit. Cost benefit is high in the cloud because the cloud models supports massive scalability to meet periods of demand while avoiding extended periods of under-utilized IT capacity. Users with a mouse click can quickly expand or contract a service without requiring overhauls to the core data center. Business companies can eliminate cost on deploying and running an on-premise IT infrastructure. There is cost savings in personnel too. The other cloud benefits include low cost of ownership, which fosters higher profitability, enabling a business to more easily reinvest in their business expansion programs. Collaboration Services: With the cloud it is easy to collaborate because of its ability to use networks on the internet. The cloud platform can collaborate between employees, partners, businesses and customers in different locations. Social business collaboration is quickly gaining popularity. This service enables companies to collaborate with the right experts at the right time to achieve business goals. The services mentioned above are broad in nature and available with any cloud service. Companies that rely heavily on the internet to expand their business and retain customers require better performing IT systems where cloud computing service is an ideal option. SMEs derive many attractive benefits by using the cloud service because adopting an appropriate model for their business is proved to drastically reduce their IT infrastructure and resource costs. An SME can simply deploy an application in the cloud and avoid the costs of managing the application (namely IT staff, storage, hardware, network, etc). Further, the application running on a cloud is highly efficient and available 24×7 without break downs, resulting in customer retention and a happy user experience. This entry was posted in Cloud, Iaas, Paas, Saas and tagged cloud computing services, iaas cloud computing, PaaS, SaaS on February 23, 2015 by admin. With total IT infrastructure outsourcing on the rise, many companies look at it as a cost saving factor. Cost saving is one of the many benefits that total IT infrastructure outsourcing has to offer. However, having just this one factor in mind isn’t enough; there are other factors and benefits that come along with total IT infrastructure outsourcing to be considered. This will help you make a sound decision in this crucial aspect of your business outsourcing. IT infrastructure outsourcing has emerged as one of the most sought after service for small and medium enterprise. The reason is obvious; tough competition in the market with competitors who come with big and established brands to their credit. Given the scenario, survival in itself seems a herculean task. Technology and IT have a major role to play in a business setup where the primary goal is national and international brand management. Big companies have both, the manpower and the money power to have the best in IT infrastructure and technology working for them. On the other hand, small and medium businesses which are still struggling to find their foothold in the market may not be in a position to invest in the sort of IT infrastructure that can give them a level playing field with industry biggies. IT infrastructure outsourcing can be a blessing for such companies who want to have the best and the latest technology working for them without having to drain their finances. Though many big brands have also started considering IT infrastructure outsourcing as a very viable option to save cost, they look at outsourcing for just a few aspect of their IT needs. On the other hand, a small and medium enterprise may look at it as the affordable option. Though cost saving is a major factor in total, it is just one part of the whole story. Let us consider four major benefits that come from total IT infrastructure outsourcing. For a company to gain and maintain a competitive edge, it needs a more responsive IT infrastructure. IT infrastructure that can respond to changing business needs, technological advancement and need for competent workers is essential. Outsourcing your IT infrastructure needs, gives you the needed expertise to handle all these aspects proactively and with ease, saving you a lot of time and hassle. The rapid advancement in technology and a corresponding change in market scenario, demands a more flexible and agile IT infrastructure. This is especially essential to accommodate the introduction of new products and services faster and with greater efficiency. Outsourcing your IT infrastructure can help you setup an IT infrastructure module that will guarantee operational excellence. This will in turn, will help you focus on exploring new markets and reaching new customers. With the global financial crisis hovering, there is a much greater need for businesses to protect and maintain the operation expenditure of the business. Total IT infrastructure outsourcing will help release some of your capital expenditure, thus enabling you to divert those funds into your operation expenditure and giving you more financial flexibility and better fund management options. Manpower management is crucial from any business point of view. You would want to hire and maintain employees who are highly productive definitely. But you also need to concentrate on your core business module if you are to increase your competitive edge. Outsourcing your IT infrastructure will free you from the hassle of maintaining an in-house IT team. This will help you have more people concentrating on strategically important aspects of your business like sales, marketing, business development, and so forth. It is very crucial that you consider these benefits when looking for a total IT infrastructure outsourcing provider. Keep all these factors in mind and choose a IAAS service provider whose goals for your business encompass all of them. This entry was posted in Iaas and tagged cloud iaas, IaaS, iaas cloud computing, iaas providers, IT Infrastructure Outsourcing on April 28, 2014 by admin.